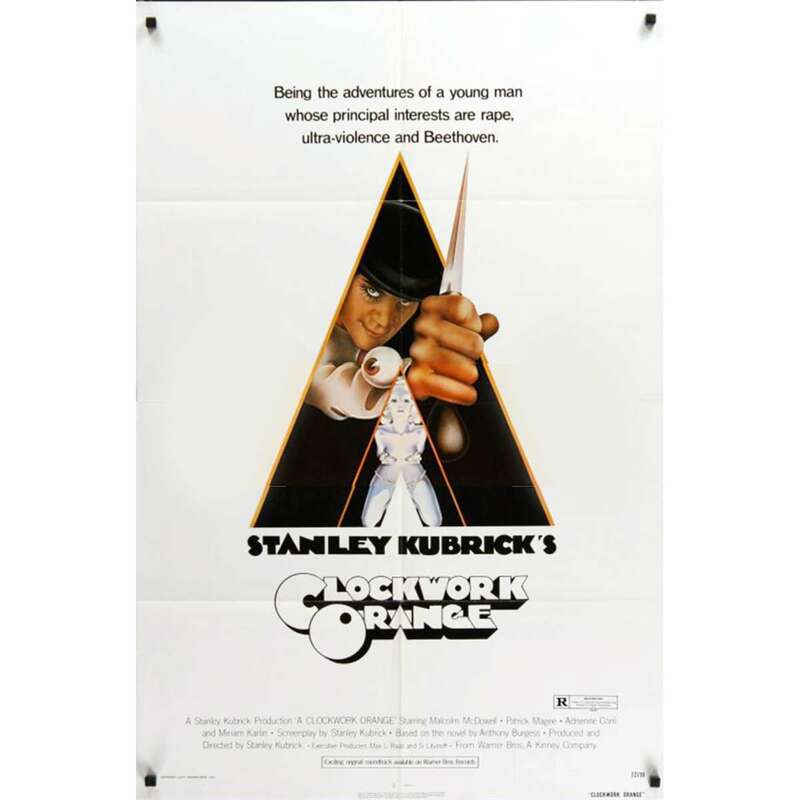 CLOCKWORK ORANGE Original US Movie Poster directed by Stanley Kubrick with Malcom Mc Dowell -1972 - Size: 29x41 inches approx. Condition: Very good to Excellent. Folded. Tiny tapes on the top, little hole in the top middle fold. The poster is not yellowed, no pinholes or tears. Important: It is the R-Rated version, not the X-rated.